Ava Pot Pie: Square Foot Gardening - Here we go! 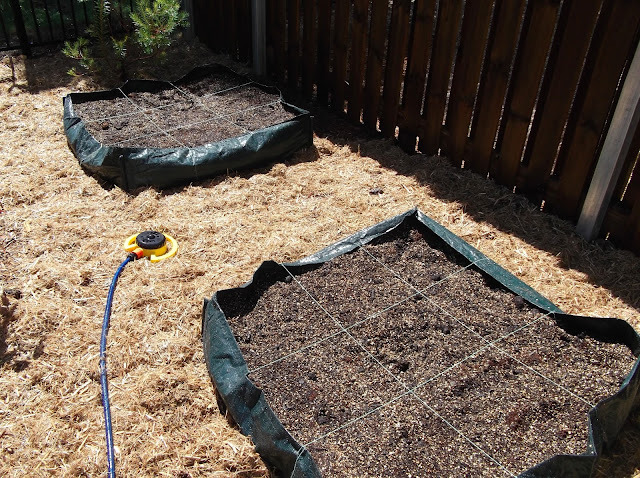 Square Foot Gardening - Here we go! I really do enjoy getting out in my garden. I don't mind the physical labour and I love to eat what we grow. I've never really has much success with it before though. I think in part it's because I never put the effort/money into prepping for planting. When I first moved here I went in whole hog and planted a bunch of herbs, tomatoes and some gardenias. 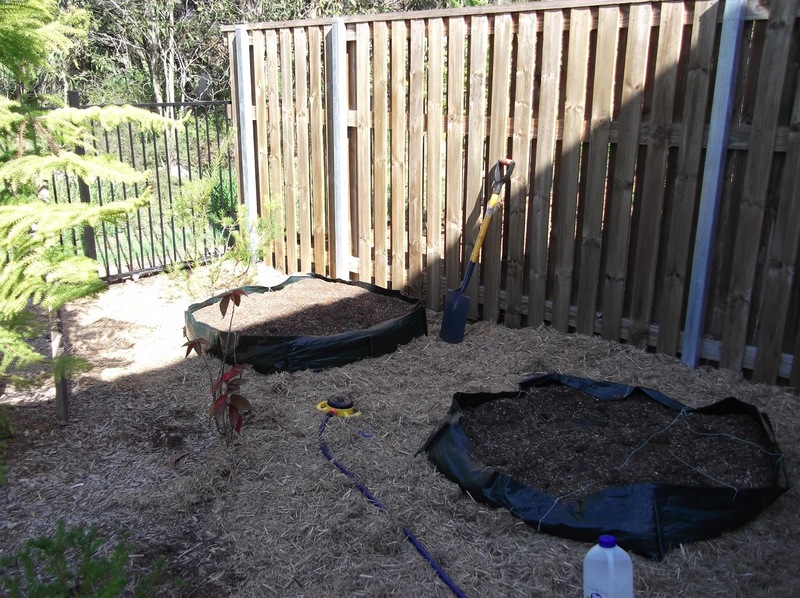 I didn't do anything other than dig a hole and stick the plants in. 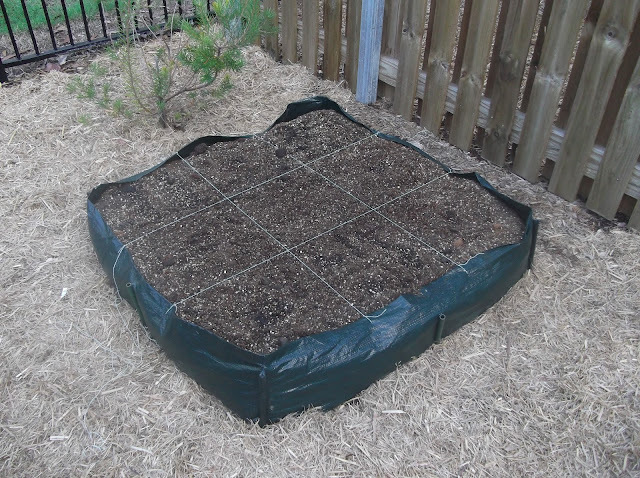 Now that might work if you have nice soil but I have a layer of mulch, 5 cm of top soil and then rock hard clay! The cherry tomatoes gave us about three fruit (they'd already flowered before we bought them) before promptly dying. The gardenia's flowered but have never really grown. The herbs have mixed success. Some things like the basil are huge and flourishing, while my oregano and thyme are about a week away from death. I couldn't for the life of me figure out what was going on! 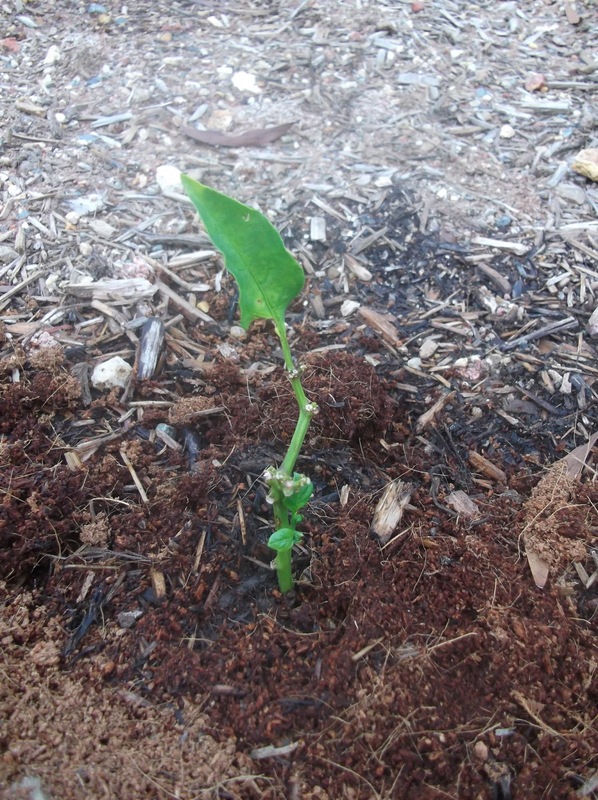 New shoots are constantly forming and there are no leaves on the ground. What was eating my capsicum? There are no bugs around and besides bugs tend to eat parts of leaves not chew off whole stems. I ended up blaming the birds. That is until I saw a random cat chasing a random bunny through the yard this morning. Mystery solved. It's time to rabbit proof the fence! Still I thought there must be a better solution. I remembered reading Square Foot Gardening a couple of years ago. It made sense at the time but I couldn't afford the outlay to set it up. I did my maths and worked out what I needed. I couldn't find any affordable 1.2 x 1.2m raised beds, but I did find these .97 x. 97 ones instead. At two for $19 they were the most cost effective solution I could find. When it came to making Mel's mix it wasn't just as easy as popping down to my local Masters/Bunnings and picking up some giant bags of vermiculite and peat moss. They only had tiny bags and it would have cost a fortune. I found a 100l bag of vermiculite on eBay. I couldn't find an economical way to buy peat moss and it's a non-renewable product. Subsequently I decided to substitute with coir instead which people say gives just as good results (finger's crossed). It ended up being about 300l that I was trying to mix together on my tarp. Thank goodness the girls' father came over and saved the day by hauling my tarp all around to mix it up. By my calculations I had enough mix to fill up my two raised beds. I built them, lay fresh mulch all around (we lost a lot in the recent deluge). And then I waited. The photo above was taken at 9.30am and my two beds had just hit full sun. It was officially too hot to be outside. About midday I had a sudden thought that I should check the depth of my beds. The depth of soil was only 10cm. So I spent about 5 minutes shovelling mix from one bed to the other. It was hot, I managed to get sunburnt from 5 minutes sun exposure. At 3.30pm the last of the sun was leaving the garden and I had one full garden bed and one half full bed. So much for my maths! It was ok really though as I didn't really have anything to put in the second one yet anyway. I filled up a few pots with left over mix and transplanted some seedlings that had been growing in jiffy pellets. 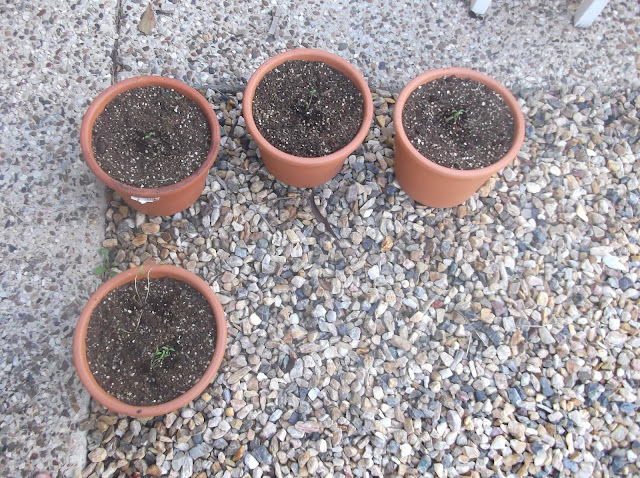 Three cherry tomato bushes and a coriander plant. I really hope they keep growing. I've been lovingly raising them for a couple of weeks now. 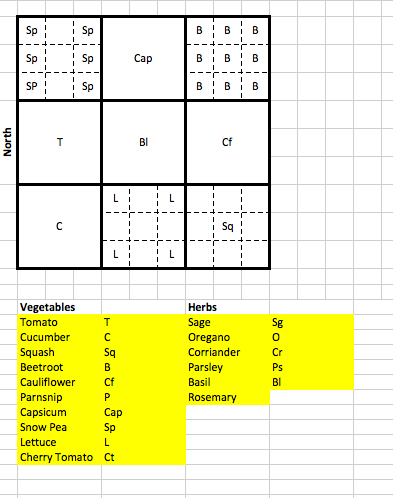 I made the most of my forced inside time by planning out my little garden. The spacings in the picture aren't quite right but it's a handy guide for me to know what I planted where. About 4.30pm it was cool enough to head out again. As you can see from the picture it's light out but no direct sun on the garden. With some help from Em planted all my seeds and watered them in. I think I might just cry if nothing grows! Things will grow for sure!! Will you come over and help me do this at my place too?